Welds up to 50 mm. Cuts up to 150 mm. This model is a high capacity combination handle. 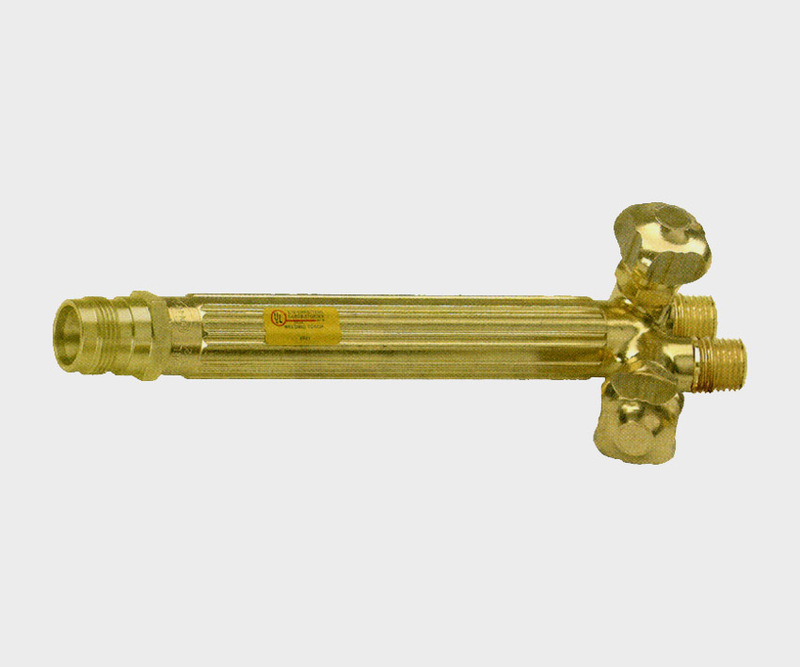 With proper accessories, it can be used for either acetylene or other fuel gases. ► Tough extruded brass handle. ► Stainless steel ball valve. ► No Screws or soldered parts for easier maintenance. • Compatible Cutting Attachment : 49-3, 73-3, 273. • Thread Oxygen : 9/16"-18-UNF-3A-RH. • Thread Fuel Gas : 9/16"-18-UNF-3A-LH.